In 2018, Indoteak Design was approached by the Sandow Group about a new idea they were developing for the A&D community. They wanted to create a place where designers could go to get samples from the industries best brands, all under one roof, to consolidate time, money, shipping and reduce waste. We were intrigued from the get go. Over the months of beta testing, we loved what we were seeing develop. 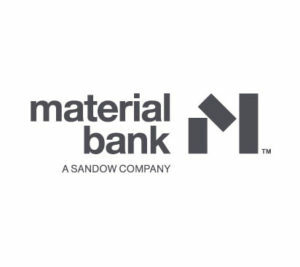 The amount of time and resources that the Sandow Company spent in creating Material Bank was impressive to say the least. 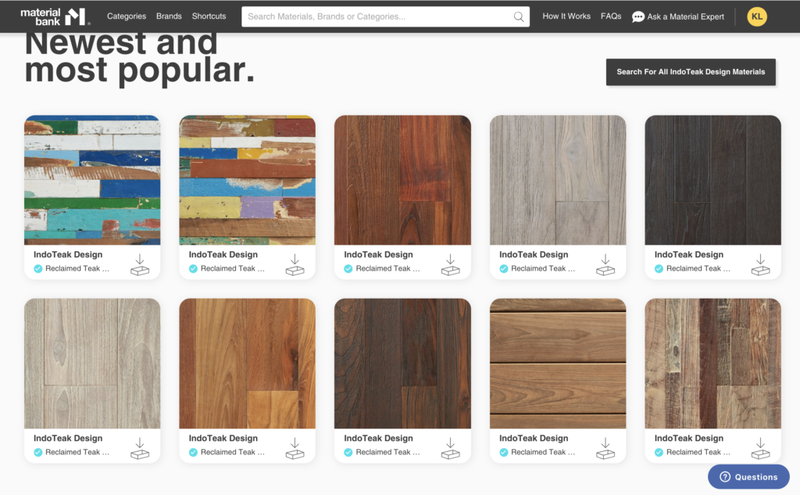 Today the site is live and designers everywhere are finally having the chance to see what all the excitement was about. When you first venture onto the site, you have to create a profile. Don’t fret. This process takes less than 5 minutes and allows the designer to have full access to the extensive brand list, company profiles (with information on the brand and its mission statement) and of course, that brands available samples. As the user searches by material, brand, product or category, they can collect samples from various mediums and have them all shipped at once in the same box. After they receive the samples, they can also return them to material bank for free to reduce on the waste that comes with extensive sampling in the design industry. We invite you to search us out on the platform and give it a try.